We’re no stranger to light fixtures that don’t simply serve a household function. But these four designs take form to the next level, with shapes and silhouettes that make illumination into a real work of art. Ah, the poor, humble wall sconce. So often taken for granted, shining brightly on, yet otherwise remaining largely out of sight. But what does it take for a wall sconce to transcend mere functionality? A little ingenuity and creativity can take a simple light source and transform it into a veritable piece of art. 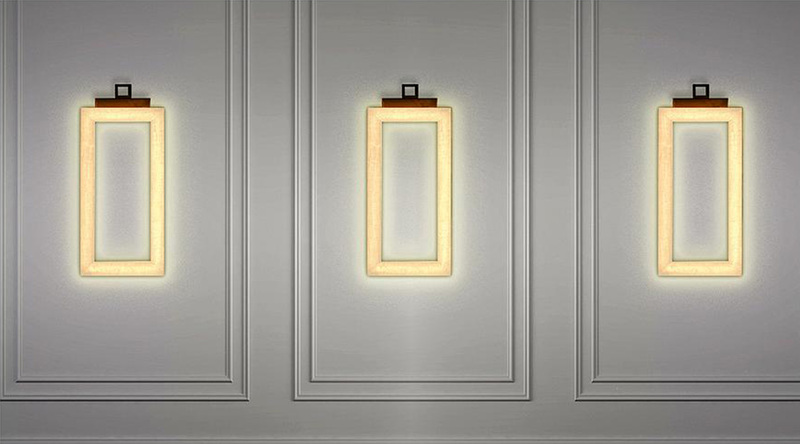 Here are a few different wall light designs that successfully walk that fine line between functional light fixture and objet d'art. In his design of the Uffizi Wall Sconces, designer Massimiliano Raggi's wishes to convey an artistic sensibility are very clear. The designs are inspired by and named after the famed Uffizi Gallery in Florence, Italy. They are variably shaped, open fixtures that are directly modeled on picture frames, and are often photographed in clusters like a gallery wall. The Uffizis are made out of pure Italian marble because, as its creators say, "marble is a noble material, directly connected to art and the city of Florence." In this case, marble's inherent translucence has also proven it to be a rather dazzling material for a lighting fixture. A hidden channel running around the back of the frame is outfitted with LEDs, which illuminate the marble completely and cast a warm glow all around it. When a design plays double duty, does one “function” come before the other? 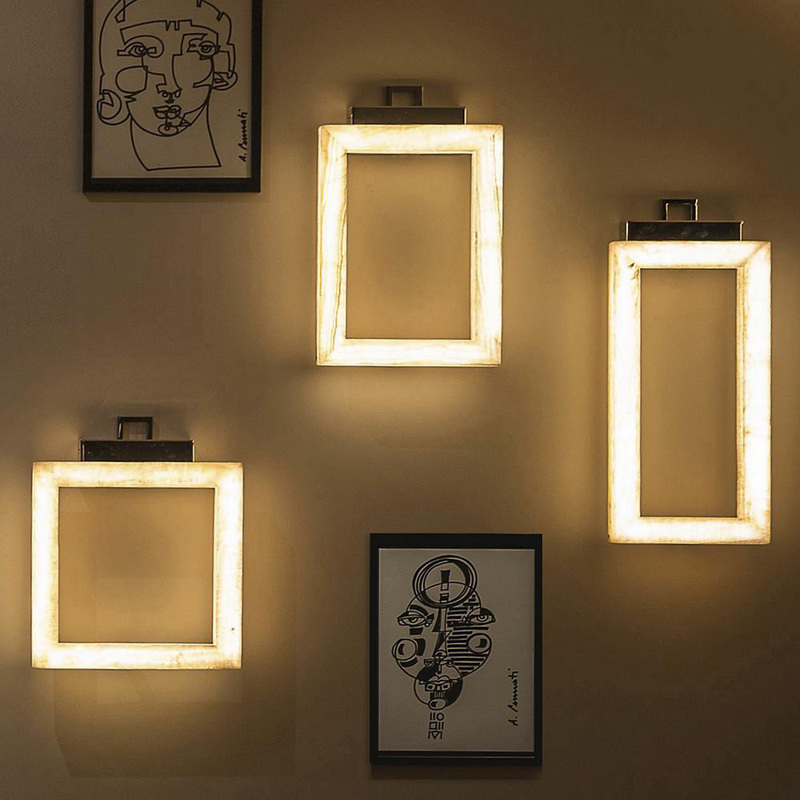 Contardi Lighting, who produces the Uffizi, calls it a functional light first, but with a look of an art installation: "We like calling it 'an illuminating piece of art,' because it is a unique fixture that provides a lot of light." 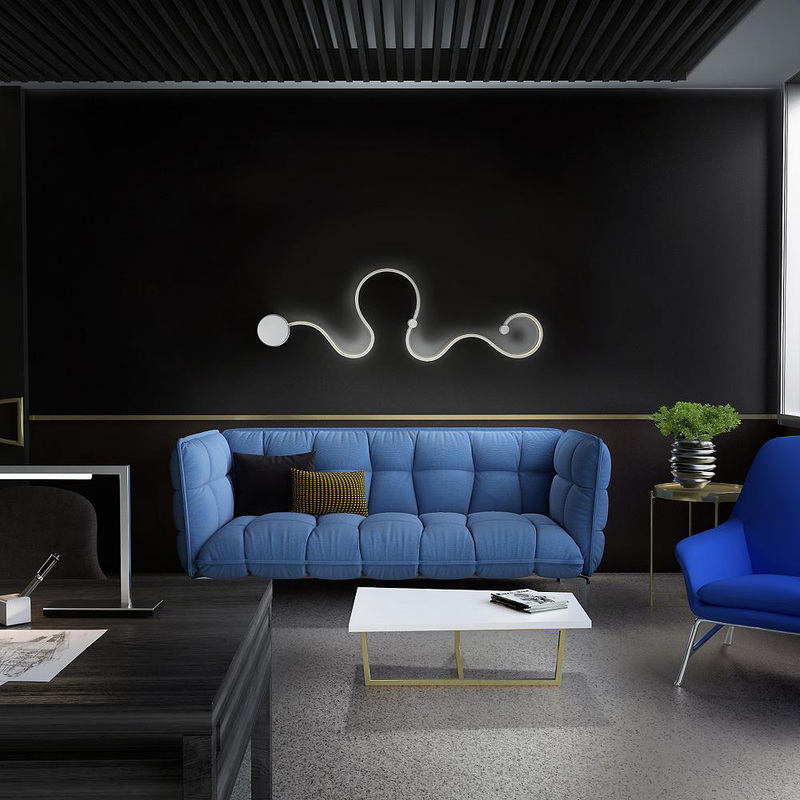 The Molto Luce Lash LED Wall Sconce/Flushmount is shaped a bit like a cursive "Y." A bit unusual, but nothing too out of the ordinary until you consider the possibilities. 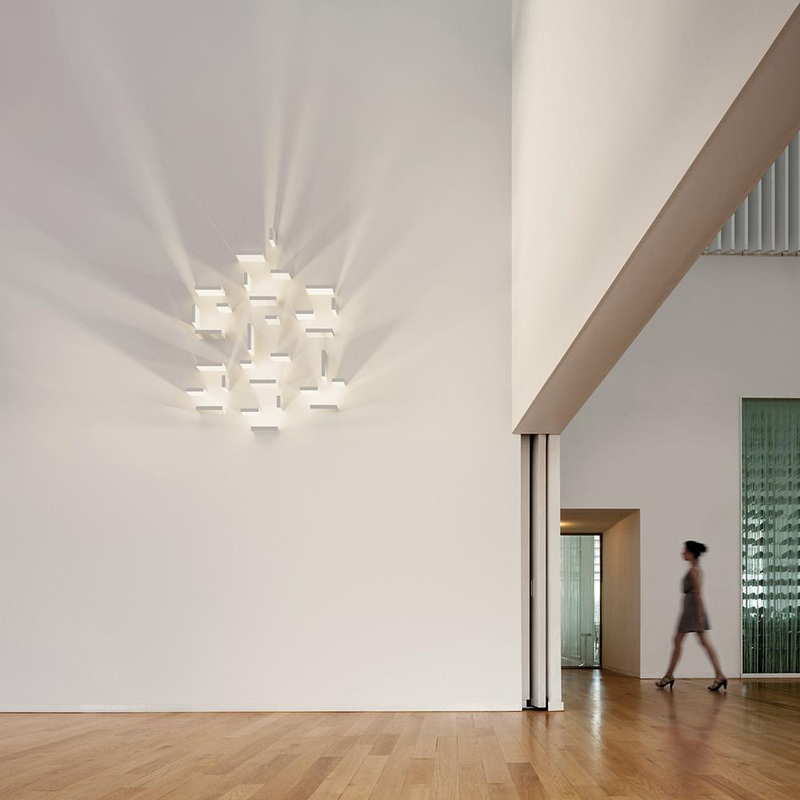 The curvy Lash has three points of contact, which allow for an infinite array of modular lighting configurations. The design of the Lash allows the owners to become artists themselves, with final shapes limited only by imagination (or, you know, not enough electricity). Here, the singular installation is made up of two Lash Wall Sconces. While the light emitted by the Serpent E24533 LED Wall Sconce does provide some lovely ambiance, you may find that the light serves to enhance the fixture's slithery shape even more. The light projected onto the wall both surrounds and visually enlarges the otherwise slim and curvy design. The Set LED Wall Art collection is the height of artistic lighting modularity. 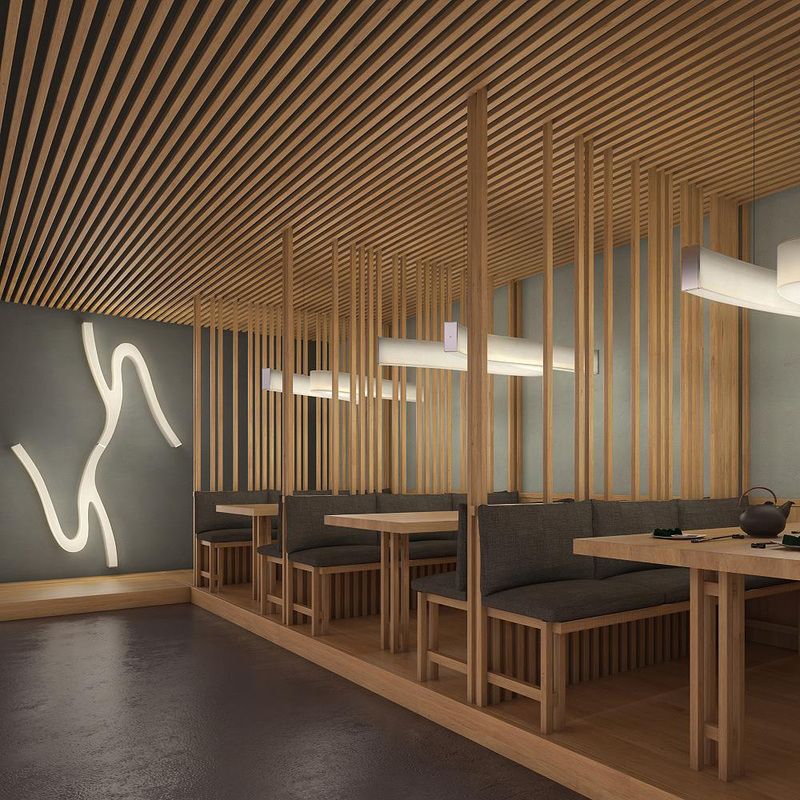 It comes in a range of wall lighting component sets, with elements that can be installed close together or far apart, perfectly straight or tilted in just about any direction across a wall. (And they can be rotated 360 degrees, even after initial installation.) If that doesn't get your creative juices flowing, nothing will. The Set elements themselves come in neutral colors to blend in as much as possible with the surrounding wall. The artistic effect comes from the unexpected texture of the protruding elements and, especially, the personalized and ever-changeable play of light and shadow that results.